Conservationist by heart and explorer by spirit. 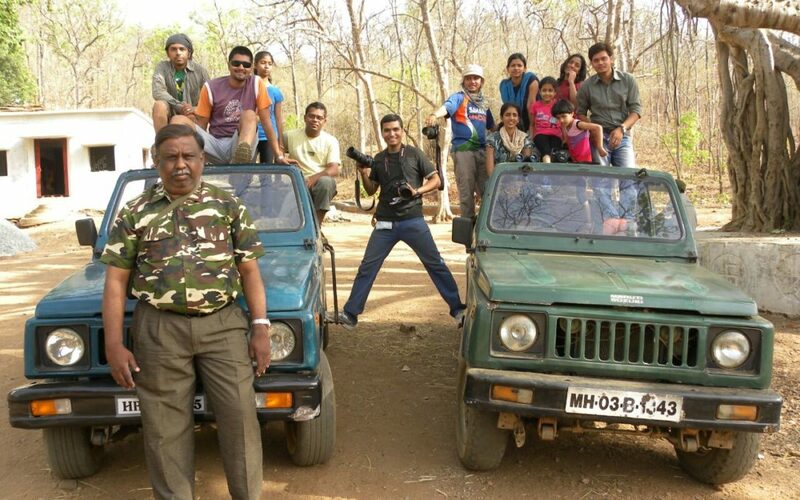 Abhay Uzagare has been respected and known name in wildlife conservation circle. He has worked with WWF India for over 20 years in capacity of member, organizer and Adviser. He is also founder Chairman of an NGO by the name of “NEW Conserver – Jalgaon”, the NGO under his guidance and mentorship has worked in the field of exposing several cases of Tree cutting, illegal occupancy, poaching, illegal mining and resolving problems related to forest staff. Under his guidance the “NEW Conserver – Jalgaon” organized 20th Maharashtra Pakshi Mitra Sammelan in 2001 which was attended by above 98 ornithologists and researchers and above 180 naturalists. This was one of the most successful Pakshi Mitra Sammelan ever done till date. He has rescued and successfully rehabilitated over 351 birds species (Owls. Owlets, Kites, Falcons, Partridges, Quails, Peacocks and many more), 17 Mammal species (Leopards, Chinkara, Fox, Palm Civets, Stripped Hyena, Wild Cats etc), 32 reptiles (Rat Snake, Sand Boa, Cobra, Pytho, Monitor lizard etc), 7 tortoise species. He has over 100 plus research articles published to his credit which have been published in research books, magazines and newspapers. He has authored the first ever published book checklist of “Birds and Animals of Jalgaon District”, based on sighting. This book is result of his hard work in forests of Jalgaon for over 30 years and has been acclaimed and appreciated by experts nationally and internationally. He at present is appointed as member of “District Biodiversity advisory committee” by the Government of Maharashtra. He is also a visiting faculty on subjects like ornithology, biodiversity, Eco-tourism and various aspects of environment. Appointed as a member of advisory and monitoring district committee of national highway for tree conservation and plantation. He is also deputed as a reasoner person by department of forest, Government of Maharashtra on subjects of Fauna, Man – Wild Animal conflict, Biodiversity, Eco – tourism and adventure sports. In 21 years as explorers he has taken various tours to several parts of India. He has took more then 15,000 people individually in groups, families and corporate settings for Jungle camps, Wildlife Safaris and sightings, Jungle Treks and trails as well as high altitude mountain treks. He has also supervised Everest base camp expedition, with approval from Indian Mountaineering Federation. He is currently doing research on Fresh water fishes of Indian Sub Continent.